Writers Lonnie Nadler and Zac Thompson, (CABLE, X-MEN: BLACK), share their Marvel pull lists! 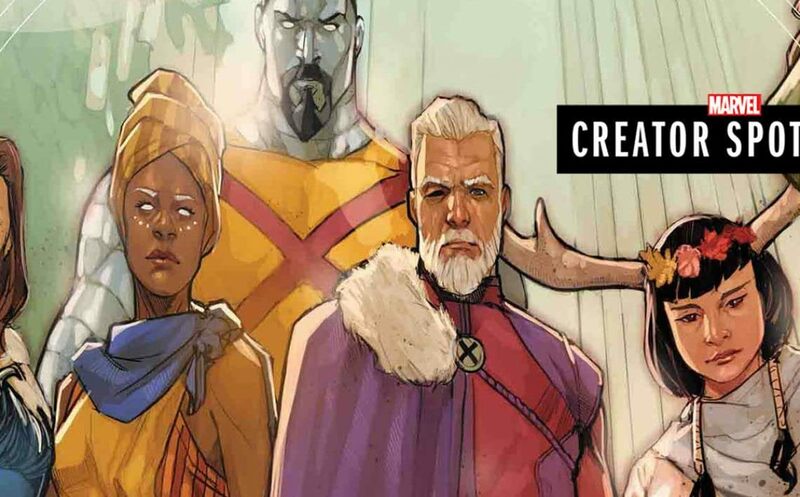 Enter the utopian alt-universe AGE OF X-MAN with the AGE OF X-MAN ALPHA one-shot, and continue to read about the perfect X-Men for a perfect world with AGE OF X-MEN: THE MARVELOUS X-MEN! Brought to you by Lonnie, Zac & artist Marco Failla, available wherever Marvel comics are sold! From Demon Bear to the inception of Legion, this run helped define what super hero comics could be when treated as a serious artistic medium. Claremont delivers character driven, emotional plots, which are amplified by Sienkiewicz’s experimental yet fluid sequential storytelling that truly changed the game. There are few collaborations in X-Men history that stand side by side with this one. Read through #31. This one got me back into comics as a teenager. Garth Ennis and Steve Dillon do what they do best, reinterpreting Frank Castle as an ultraviolent, gritty vigilante with no pulled punches. What makes Ennis and Dillon such a powerful duo, (aside from their penchant for carnage), is their inimitable, pitch black comedy. Not many people dare to push the line as far as these two. This is the quintessential Punisher run. Gaiman puts his brilliant fantasy spin on the Marvel Universe. What more could you ask for? As far as alternate reality scenarios go, 1602 is one of the most inventive. Rather than looking to the far reaches of time and space, Gaiman transports Marvel’s familiar heroes to Shakespearean England for an adventure that oozes with mystery and a studied poetic grace. This is one of those reads that lingers. A postmodern take on super hero mythology that’s both an ode to comic book history and a metaphor for addiction. Jenkin’s use of an odd, second person narration to show how fractured the Sentry’s mind has become, with Lee’s moody, versatile art, amplifies the melancholic themes of forgotten heroes and lost memories. Read it and you’ll never forget the Sentry again. This run rebuilds Nate Grey. Up until this point, X-Man was an overly powerful character who couldn’t find his place in the world. In recasting the character as a Shaman detached from mortal needs, Warren Ellis’ deft script turns a lack of belonging into Nate’s greatest strength. While Olivetti’s art finally captures Nate’s power, depicting him as a messianic figure aloof from human squabbles. Read through #66. The beginning of Aaron’s character-defining run on Thor still stands as one of the best modern super hero comics. Ribic revels in three different eras of the God of Thunder’s life, while simultaneously introducing readers to the terrifying God Butcher. A brilliant first arc of a landmark series that places its hooks in you and refuses to let go. Reading this will force you to consume every issue that comes after. I was a “former” X-Men reader until this book came out and grabbed me by the throat. Rick Remender’s series begins with a literal bang that never lets up and his characterization of Wolverine is one for the ages. While Jerome Opena’s art is a pulse-pounding look at wet works in the world of mutants. Both tragic and oddly cathartic, Uncanny X-Force stands among the best X-Men books ever made.